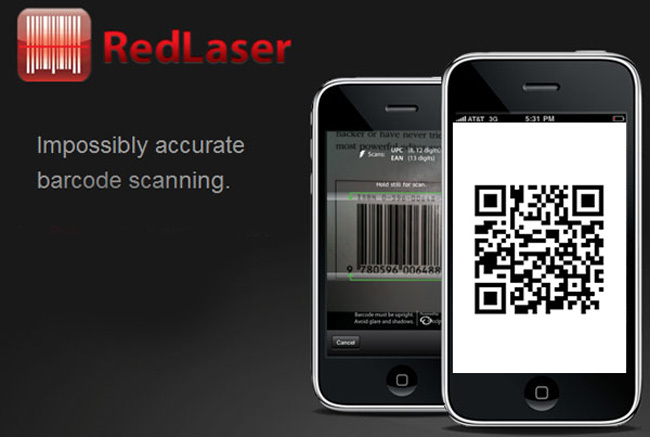 Ebay has just added support for QR codes to its barcode scanning application RedLaser. Allowing users to easily look up price comparisons in its product database by scanning the barcode of an product. The new app will also populate product results with eBay Marketplaces and Half.com listings. A QR Code is a square matrix barcode, readable by QR scanners or mobile phones with a camera. The code consists of black modules arranged in a square pattern on white background. Using the QR codes in RedLaser users can receive information and links to videos, product reviews or websites to get more product information, contact information for customer support, or calendar appointments for upcoming sporting events and concerts. RedLaser has seen over 5 million downloads from the app store and even though QR coes are still a little few and far between on the high street more and more companies and adopting QR codes as a method to advertise products.